Remember playing “telephone” as a kid? Someone starts with a simple statement and it gets re-told from person to person. By the time it gets to the end, the last person says the statement out loud and everyone laughs. Why? Because it’s usually not at all reflective of the original message. While playing a game of “telephone” can be fun for kids, it isn’t very fun for businesses. “Telephoning” your brand messages through your email channel is the risk business organizations take when they leave their email marketing in the hands of their agents, field reps and consultants. And, this happens more often than you would think. 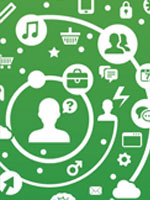 Brand compliance is a real issue for many organizations that rely on their field to maintain customer relationships. We’ve found that while the field always has the best of intentions, promotions handed down by corporate may still be misrepresented, messaging may vary from agent to agent, and the brand message suffers and becomes diluted. Matters are made even worse when text, audio, video and photography copyrights are mistakenly violated by the field, too. Yikes! Never mind the problems that can occur when those non-compliant promotions get on customer social networks. All of this adds up to an even more troublesome scenario for corporate marketing teams to contend with. Companies that understand that brand is their greatest asset, have a real challenge when trying to figure out how to include the field with their email marketing. The catch 22 is that smart marketing teams know that open rates will almost always be higher when customers receive a message from “someone they know” versus “company x.” The key is making sure the content of those messages protect your brand and are sent by the local field contact. 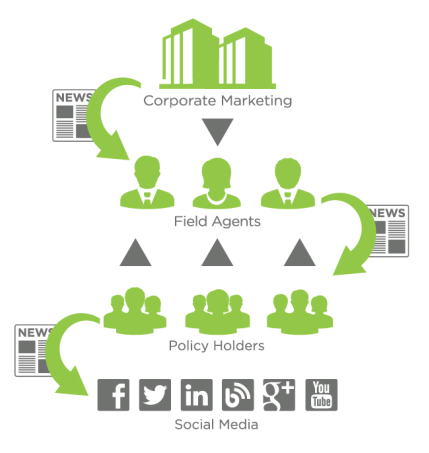 Instituting a multi-tier marketing strategy is a win-win-win for everyone: for corporate, the field and the customer. IMN Loyalty Driver is a multi-tier marketing solution designed to help your sales agents and local offices attract, acquire and engage new customers through content—while making the message appear as if their personal agent sent it. Because the messages are compiled by the corporate marketing team to brand specifications and sent through each agent to their respective clientele, local personalities come through while ensuring control of brand integrity. Has your field telephoned your brand messages or promotions? Share your stories!